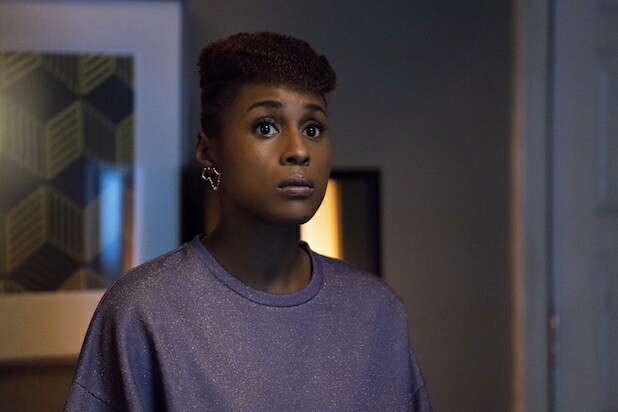 Season 3 of “Insecure” finds Issa (Issa Rae) feeling… well, insecure. Showrunner Prentice Penny (who also directed the Season 3 premiere episode) spoke with TheWrap about how Issa’s new living situation is cramping her style — and her rap habits. In the episode, Issa is living with Daniel (Y’Ian Noel) — you know, the guy she cheated on Lawrence (Jay Ellis) with. There’s a moment where we see her gazing at the spot above the bathroom sink where a mirror should be, but it’s just a mirror-less medicine cabinet. That’s our first hint that Issa’s out of her element. There is a small hand mirror hanging on the side wall, and she’s about to start — but Daniel walks in. “No matter where she is, the mirror is obviously a place of comfort for her,” he said. And although we’ll see Issa, and other characters, try to “adult” more this season, her raps will be used as an “arc to show where she is” throughout the season. Speaking of being safe and comforted — the writers were also pushing themselves out of comfort zones this season. One way that manifested itself was taking Lawrence out of the season’s main storyline. 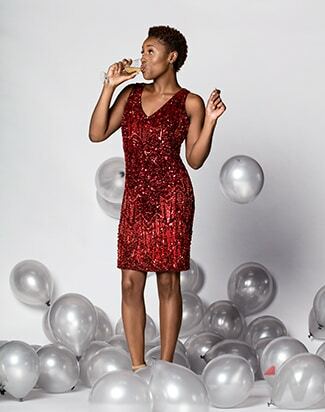 One way Issa is trying to grow up this season is to save money, and we couldn’t get off the phone with Penny without talking about her new side hustle as a Lyft driver. “For one we just thought it’d be interesting and fun for her to have, like, a series of odd jobs,” Penny said, noting that some people use app-driven jobs (Like Lyft, Uber, Postmates and Task Rabbit) as their main source of income, and the writers “were really intrigued by that. And so it’s like also a way we could get comedy out of things, too.” I mean, who doesn’t love a good back-seat brawl?